Wondering how to tag someone on Facebook? Tagging is an important part of using the social media service as it allows you to notify others that you’ve mentioned them, among other uses. Let’s take a quick look at some of the most important ways you can tag others on Facebook. 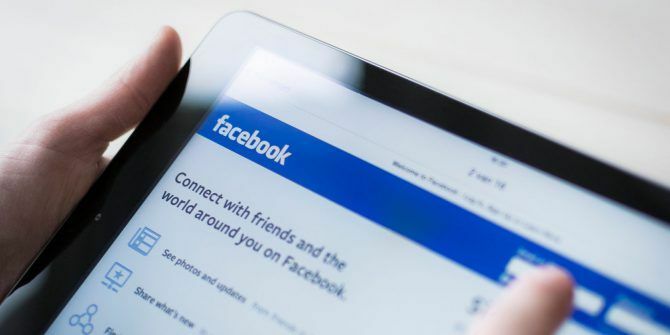 Note that your friends’ privacy settings The Complete Facebook Privacy Guide The Complete Facebook Privacy Guide Privacy on Facebook is a complex beast. Many important settings are hidden out of sight. Here's a complete look at every Facebook privacy setting you need to know about. Read More may affect some of these. Whenever you post a status update, you can tag your friends by typing an @ symbol followed by their name. As you type, a small window appears and updates automatically to show the best match for the text you’ve entered. Click someone’s name and it will appear highlighted in blue on your post. This means you’ve successfully tagged them. You can actually tag people other than friends by doing this, including friends of friends, businesses, and more. And this works for tagging others in comments, too. Just be aware that tagging someone will make your post visible to their friends. Facebook allows you to add several elements to your posts, including polls, requests for recommendations Facebook's Hidden Recommendations Are Awesome Facebook's Hidden Recommendations Are Awesome Facebook's recommendation feature is a great way to get advice from your friends. Here's everything you need to know about creating and answering recommendations. Read More , and moods. Click the Tag Friends option, and you’ll see a new With box below your post. Enter one or more names here and your post will include them at the end of your post. While the above method lets you tag anyone in a post, this lets you tell your audience that you were with specific people. Thus, it only allows you to tag your friends. Tagging friends in photos lets others easily identify them. It also adds those photos to the Photos of You section for anyone in the picture. Open any Facebook photo and if there’s a face inside, Facebook will add a show a box when you mouse over it. Click in the text field below and enter the person’s name to tag them. If the box doesn’t show up, click Tag Photo at the bottom of the screen and drag a box over the person’s face. Then enter their name to tag them. Take a look at our beginner’s guide to Facebook How to Use Facebook How to Use Facebook New to Facebook? We'll teach you all you need to know about how to use Facebook in our guide. Learn how to create an account, find friends, and make the most of every feature! Read More to learn more.